Researcher John Hattie is one of my new heroes. 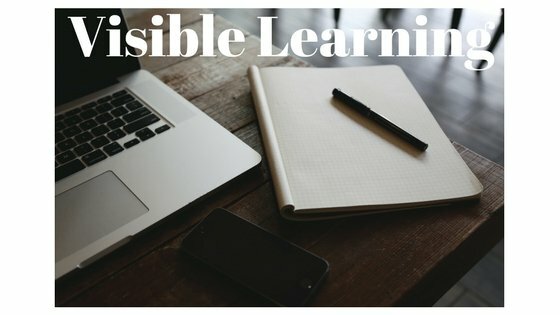 His book Visible Learning: A Synthesis of Over 800 Meta-Analyses Relating to Achievement has really opened my eyes to the changes that we need to be making in our classrooms. 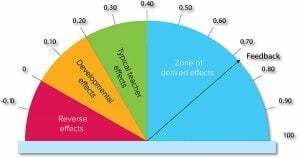 In his meta study, Hattie compared the effect sizes of aspects that influence learning outcomes, pointing out that in education most things work. The question is which ones work best and where to concentrate our efforts. In other words, what changes accelerate student learning the most? I’ve taken the liberty of picking five of Hattie’s top ten influences on achievement and examining them in terms of how technology might help us better use them for learning. Here’s what I discovered. This had the biggest influence on achievement out of all of the ones that Hattie looked at. Students set their own goals, monitor their own achievement, and reflect upon their process of learning. The strategy “involves the teacher finding out what are the student’s expectations and pushing the learner to exceed these expectations.” (Source) What technology could be used to help students better reflect on their own learning? Trust, competence, energy, enthusiasm, and consistency are among the top characteristics students consider when determining if their teacher is credible and if they are going to choose to learn from them. Hattie defines this as the teacher being highly organized when teaching, having a powerful speaking style, and removing barriers between himself and the student. While no technology today will help students trust a teacher more, technology can be used to stay organized. Google Calendar, OneNote, and other items can help the teacher manage the content that is to be taught. Thrively can be used to help the teacher learn about student strengths and interests, which can help to build trust between them. Hattie defines classroom discussion as “a method of teaching, that involves the entire class in a discussion. The teacher stops lecturing and students get together as a class to discuss an important issue.” You can find helpful tips to take your class discussions to the next level here. 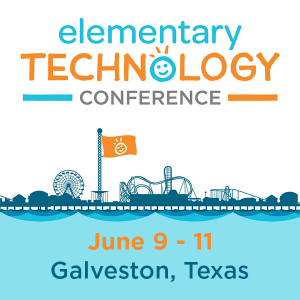 There are several powerful technology tools that can facilitate classroom discussions, including Google Classroom, Today’s Meet, Flipgrid (with video comments by students), Skype, and Google Hangouts. The key with all of these technologies is that the students are doing the discussion while the teacher is facilitating the conversation. There are a wide variety of formative assessment tools available to educators today, including Nearpod, Recap, Formative, Socrative, Kahoot!, Plickers, Padlet, and more. (You can find an exhaustive list here.) But there are ways other than a simple quiz for students to provide feedback about their own learning. Consider blogging, Today’s Meet, an online discussion with private comments to the teacher, and reflection journals. I would love to see teachers in teams embrace one of these “top five” ways to accelerate student learning and practice its use over a semester. To help them in the process, they can use the top five themselves as they learn the strategy. What do you think?